Best Drywall & Painting Specialist in Seattle! We have some exciting news! 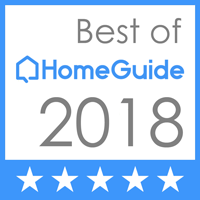 Out of the approximately 200 drywall and painting companies, we have been awarded the Build Magazine – 2019 Home and Garden Award for being the Best Drywall & Painting Specialist in the greater Seattle area! We strive to provide the best service and deliver the best product that we can for you and we delight in your satisfaction! Thank you to all for being a big part in helping us to receive this award. Because of the snow delays, February is incredibly busy through the end of the month. March and April do have a couple more openings, however. If you would like the interior – of your house or commercial building – refinished for the spring, please let us know ASAP. There are a couple more openings, but these fill fast! With production down to a standstill because of snow, we escaped town for a couple of days to try to take advantage of some downtime – at the Great Wolf Lodge. What a great place with fun events and excellent staff - we would highly recommend it for anyone with children! Now, with the snow melting, we have been working like crazy to get back on schedule again.